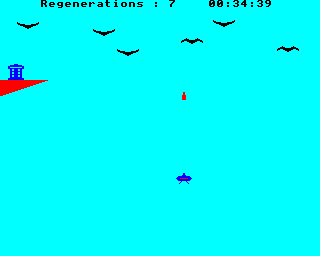 "The Terrordactyls" from Doctor Who: The First Adventure (BBC Soft, 1983) gameplay screenshot, showing a typical MODE 1 display. current 20:39, 8 March 2015 320 × 256 (692 B) WikiSysop (Talk | contribs) "The Terrordactyls" from ''Doctor Who: The First Adventure'' (BBC Soft, 1983) gameplay screenshot, showing a typical <code>MODE 1</code> display. This page was last modified on 8 March 2015, at 20:39. This page has been accessed 165 times.